Starting with Genesis Mining who have once more upgraded the Zcash cloud mining hashrate for their existing customers by another 25%. 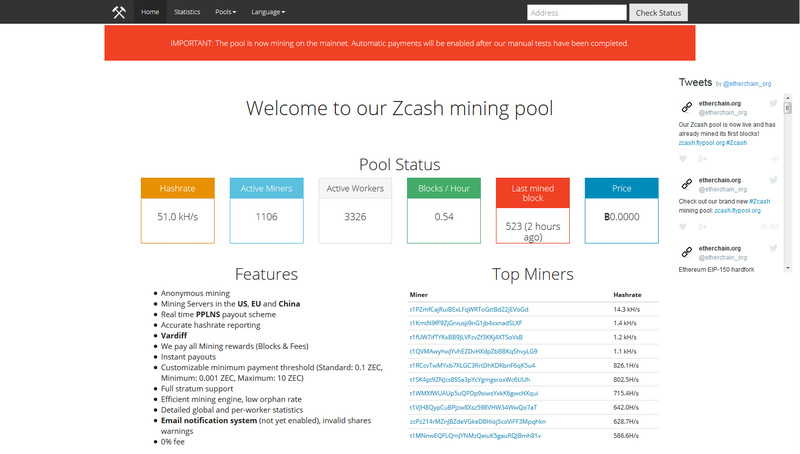 This means that everyone that has already purchased Zcash cloud mining hashrate from them got a nice boost in performance and amount of mined ZEC for free. 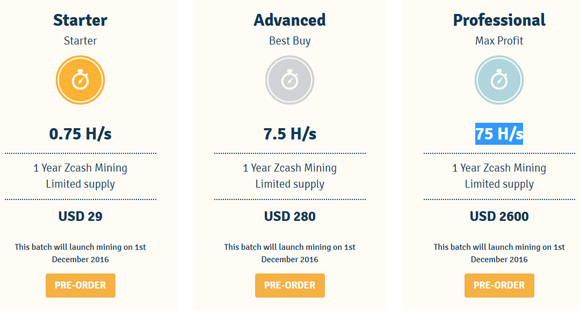 Furthermore, new customers purchasing Zcash cloud mining hashrate will also get a boost in the hashrate they purchase, however the mining for new contracts purchased at the moment will start on December 1st and not immediately, so pretty much after the slow start for the mining ends. The new Zcash (ZEC) cloud mining prices are the following after the last upgrade with 25% improvement in hashrate – 0.75 H/s for $29 USD, 7.5 H/s for $280 USD and 75 H/s for $2600 USD. These are up form 0.6 H/s, 6 H/s and 60 H/s for the same prices thanks to the hashrate improvement that apparently the company has achieved in their mining recently. 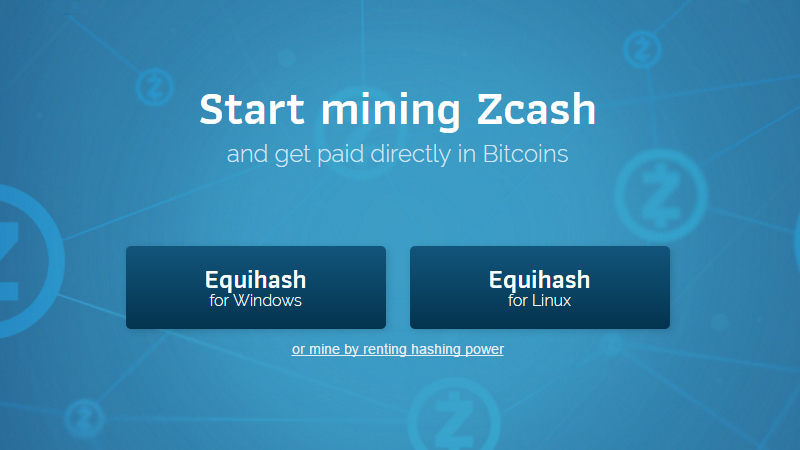 Also don’t forget that you can use our special discount code during checkout to get 3% off the regular prices for Zcash mining hashrate, just enter CryptoMiningBlog5 as promo code during checkout to take advantage of the better price offer. Another cloud mining service provider that has been available for quite some time already as well – HashFlare has also announced their plans for offering cloud mining hashrate for Zcash (ZEC). They have already started the presale of mining contracts with a price of 4.20 USD per 0.1 H/s with the launch of mining planned to start before 21.11.16, so you will be able to catch some of the slow start mining period as well. Each of their Zcash cloud mining contracts will last for 1 year (from activation) and will not have any additional fees as everything is apparently included in the price. Their prices are now a bit higher than the above alternative since the latest announcement of hashrate upgrade, but there is an active promotional code for them as well that is following a recent Halloween promotion going for all knids of cloud mining hashrate being offered. 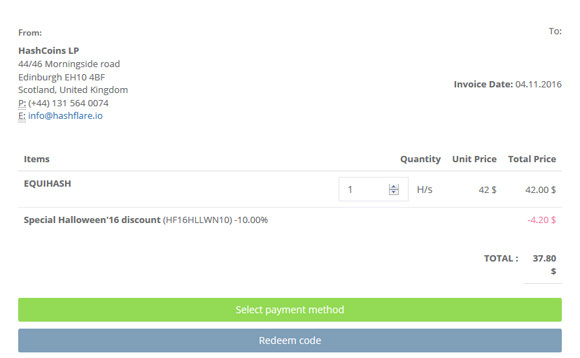 You can use the promo code HF16HLLWN10 to get a 10% discount from the regular price of $4.20 USD per 0.1 H/s for the EQUIHASH cloud mining hashrate being offered at the moment. Do note however that this discount code will be valid only until 06.11.2016 23:59 (UTC +0) when the promotional offer will expire. 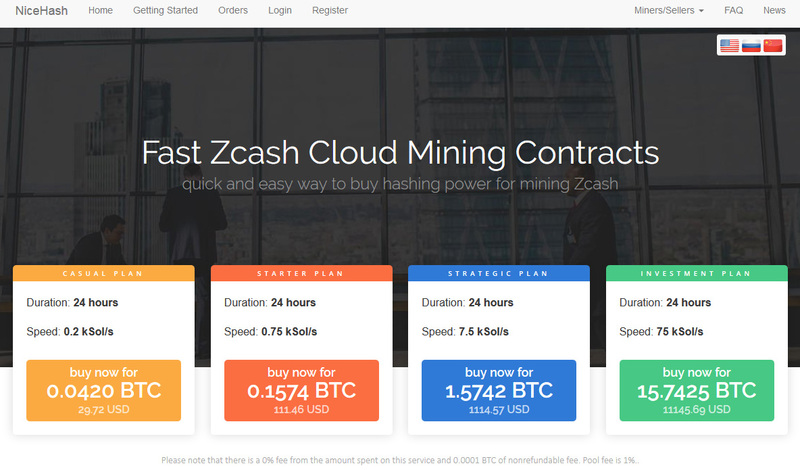 Besides the ability to rent and lease hashrate for the new Equihash mining algorithm being used by Zcash (ZEC) NiceHash is also offering what they call Fast Zcash Cloud Mining Contracts. These are 24 hour mining contracts, but with a large amount of hashrate that you are getting for this short period of time. This is an interesting alternative to long term cloud mining contracts, but probably not the best one for the moment while we are still in the slow start of mining for Zcash. Still a nice alternative to have to long term contracts as well as to traditional renting of hashrate where the price may vary and here you have a fixed price for the day. 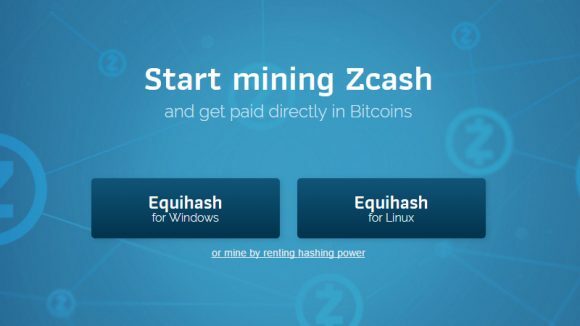 Another popular service for renting and leasing hashrate, namely Mining Rig Rentals has yet to introduce support for the new algorithm used by Zcash (ZEC), so for the moment it is not interesting option for people that are all into Equihash. 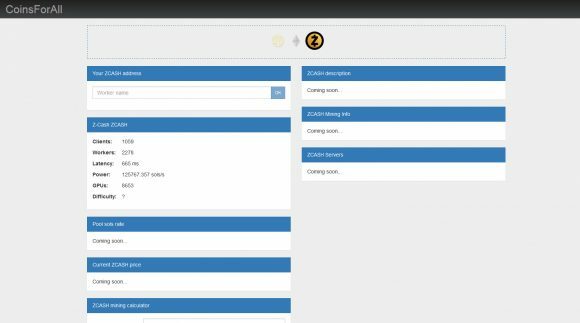 With the big interest however we are not going to be surprised if they don’t take much time to also introduce Zcash support in the next days. Earlier today Zcash (ZEC) went live as expected and people are already starting to mine it, some of them probably are still not aware of the slow start with very small block rewards initially. Regardless, with what is available as miners at the moment there are pretty much two places where you would want to go for mining if you still haven’t done so. The first one for CPU mining and CUDA mining is Flypool that uses a modified version of NiceHash’s stratum miner available for download here CPU/CUDA miner for Flypool. For AMD mining you might want to head on to the Coinsforall mining pool that uses its own different protocol and has an OpenCL and CUDA miner. Earlier today Genoil has posted an OpenCL miner binary for Windows with stratum support, however it seems that his miner is still not ready for major use as most people are reporting issues making it work properly. We have tried his miner and also had trouble making it work properly, so if you have AMD OpenCL GPUs just go for Coinsforall for the moment and use their miner.